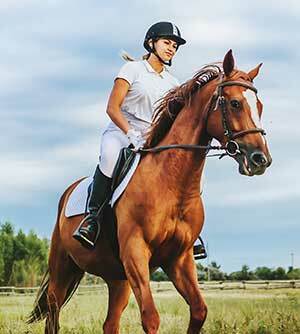 Joint supplements for horses are by far the largest category of horse supplements. Why is this? When we look at how our horses are trained and used these days it is hardly surprising that there are a lot of problems associated with the various joints, resulting in a bewildering range of horse joint supplements on the market. A few thousand years ago wild horses on the prairies were not jumping repeatedly over fences or coming to a sliding stop on their hocks or any of the other repetitive movements incorporated into performance horse disciplines today that place stress on the joints. At Grand Meadows we have watched these horse joint supplements evolve over the last twenty years, from the days when it was an easy choice between 2 or 3 joint supplements, to the point where we now have, believe it or not, over 350 joint supplements on the market for horses. How on earth do you distinguish the right equine joint supplement for your horse? One of the first ways to do that is to look for the NASC Seal. The National Animal Supplement Council ,of which Grand Meadows was a founding member, has established a strict set of guidelines that equine and small animal supplement manufacturers must follow in order to be able to put the NASC Seal on their products. Each company is subject to an independent audit every 2 years to ensure that the manufacturer is following the requirements and has the evidence to support that. The NASC has really transformed the industry in the 18 years since its inception and when you see the Seal on a product, while it may not be a guarantee as to the effectiveness of the product it is an assurance that the manufacturer is following strict GMP requirements in the manufacture of their equine or small animal supplements. What Are the Various Problems Your Horse Can Develop? The first question to ask yourself is where does your horse fit on the path of the various problems that can develop? 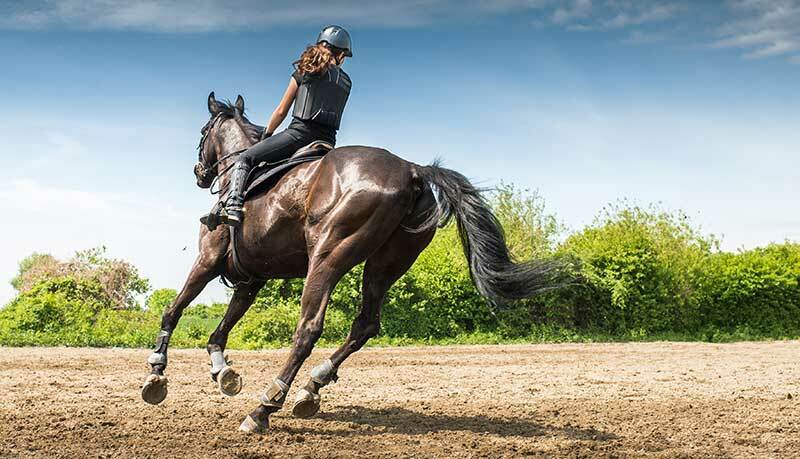 Do you want to feed a joint supplement because you know that through your riding discipline your horse is at high risk for developing some kind of joint problem over time? In this instance you should be looking for a product that will provide good nutritional support but does not need to contain all the anti-inflammatories or the highest levels of active ingredients. So many people seem to be immediately drawn to the products with the highest levels and the widest range of ingredients and end up spending much more than they need and frankly wasting their money. We have a product for example called Grand Flex Senior, which is a senior horse joint supplement, primarily designed for horses that are no longer competing. This product for some reason has achieved almost a cult status in New Zealand where we go for the Horse of the Year Show every March. 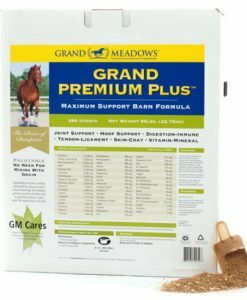 We have lots of people coming to our booth to order the senior horse supplement and in lots of cases they are giving it to a young horse with no apparent issues so I then have to explain that they should be feeding something like Grand Flex, which is an excellent introductory equine joint supplement. When you are feeding a horse joint supplement as a way to reduce the risk of joint problems then look for something with adequate levels of glucosamine, a good guideline would be around 5000mg for the average size horse. Anyone can throw glucosamine, whether it is in the form of a sulfate or hydrochloride into a formula, the key is knowing the correct co-factors that are required for the glucosamine to be absorbed and utilized by the horse. So the essential co-factors are zinc, copper, manganese and, if using the hydrochloride form of glucosamine some source of sulfur, so we use methionine or MSM. There is also an ongoing debate about which of these two forms of glucosamine are preferred and in our opinion you will not see a demonstrable difference between the two. We use the hydrochloride form because it contains a bit more actual glucosamine than the sulfate form in a given amount. Why have we not mentioned chondroitin sulfate, the supposed prerequisite along with glucosamine for horse joint supplements? The main reason is that chondroitin sulfate is quite a large molecule and there have been a number of studies showing it to be poorly absorbed. In the physiology process glucosamine ultimately support the synthesis of chondroitin sulfate in the chondrocytes, which are the cells that inhabit the articular cartilage tissue. The other problem with chondroitin sulfate in equine joint supplements is that it is one of the most adulterated ingredients in the nutritional marketplace and there is a lot of chondroitin sulfate that does not meet the purity standards we look for in our ingredients. The next ingredient that I imagine many of you are thinking about when it comes to horse joint supplements is Hyaluronic Acid. When oral HA first became available about 10 years ago there was a rush to market as virtually every equine supplement manufacturer introduced an HA product except us. At that time there were some very big question marks about the bioavailability of HA because it dwarfs the chondroitin sulfate molecule which, as discussed above, is already questionable regarding being absorbed out of the horse’s gastrointestinal system. I will go into our solution to oral HA in the next blog but the basis for this piece is focused more on advice for an affordable and practical way to provide effective nutritional support for horses that are at risk but do not currently have joint problems. So it is important to understand the current state of your horse’s joint(s) to determine the type of horse joint supplement to feed. A horse that starts to appear stiff with uneven gaits and a shortened stride could be displaying signs of early arthritis pain. If there is a reluctance to pick up, keep, or change a lead in the canter or lope this may also be early signs of joint disease. In addition, horses that work at speed, such as hunter/jumpers, reiners, and barrel horses, may start to become unwilling to stop or turn. If you have started to notice some of these signs in your own horse then it is time to look for a supplement that can help support those joints and to speak with your vet. 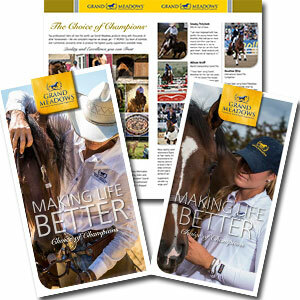 This is what we will be covering in the next blog on horse joint supplements.